Description: Small group of seven islets in the northwestern Mediterranean Sea located just 1 km from L’Estartit (spain). 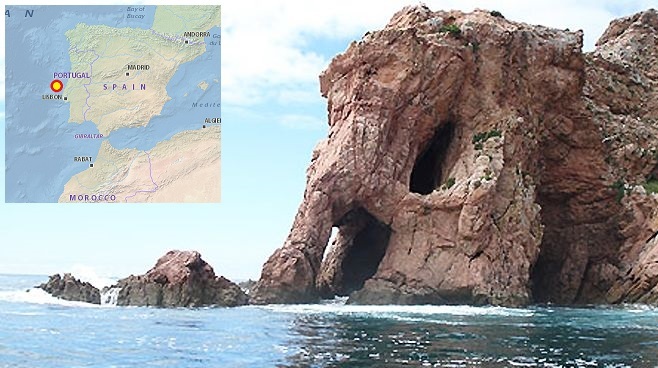 The Medes Islands archipelago is part of the Montgrí, Medes Islands and Baix Ter Nature Park. It is one of the most important marine flora and fauna reserves in the western Mediterranean. Description: The protected Marine Area of Capo Carbonara together with two islands of Cavoli and Serpentara form a natural park in the south-east Sardinia near Villasimius (Italy). Description: Elafonisi is an island located close to the southwestern corner of the Mediterranean island of Crete (Greece). The island is a protected nature reserve. Access: Directly from the shore. It is possible to walk to the island through the shallow water. Description: Ustica is a small island, about 9 kilometres across, situated about 50 km north of Riserva Naturale Orientata Di Capo Gallo, Sicily (Italy) in the Tyrrhenian Sea. Description: Riserva Naturale dello Zingaro (Zingaro Nature Reserve) is a natural reserve stretching along the unspoilt coastline of the Gulf of Castellammare, north-west Sicily (Italy). Access: Directly from the shore. Walk through the nature reserve and explore all hidden bays. Description: Pantelleria it is the largest volcanic satellite island of Sicily (Italy) in the Mediterranean Sea located 100 km from the Sicily mainland and ca. 40 km from Tunisian coast. Description: The Platja de la Mar Menuda or Playa de Mar Menuda (in Castilian) is a beach in Tossa de Mar, Catalunya (Spain). It is a point of departure for divers and diving schools in Tossa de Mar. The marine life starts immediately off the shore here. Description: Parco Nazionale dell’Arcipelago di La Maddalena (Arcipelago di La Maddalena National Park) is a geomarine national park at the north-east coast of Sardinia. It includes region all islands and islets within the territory of the Municipality of La Maddalena, Italy. Description: Parco Nazionale dell’Asinara (Asinara National Park) is the second largest island of Sardegna (Italy), located about 40 km north from Alghero. Description: Tuerredda beach (Spiaggia di Tuerredda) is located on the south coast of Sardegna (Italy) between Capo Malfatano and Perda Longa, about 60 km drive from Cagliari. Description: Cephalonia (Kefalonia) is the largest of the Ionian Islands in western Greece. The island has a rich biodiversity, with a substantial number of endemic and rare species. Description: Reserva Natural das Berlengas is formed by Berlengas archipelago which is a a group of small islands west off the Portuguese coast, about 10 km by boat from Peniche town. Description: Cabo de Gata-Níjar Natural Park (Parque natural del Cabo de Gata-Níjar) is located in the southeastern corner of Spain about 45 km drive from Almeria (Spain). It is the largest coastal protected area in Andalucia. Description: The Makarska Riviera is a region on the west Croatian coast of the Adriatic Sea, about 60 kilometers long and only several kilometers wide, at the foot of the Biokovo Mountain. Completely agree with you. These are all fantastic snorkeling destinations. My personal favorite is Sicily. Sicily is amazing place to snorkel. My favorite is Riserva Naturale Orientata dello Zingaro. What are your top spots in Sicily ? I loved it at the Pelagie Islands. Lampedusa, Linosa, and Lampione were all amazing. Very informative article. Will help snorkelers choose their destination. There are good locations in Asia too, including Goa in India. Excellent post! really helpful! any of those that you would specifically recommend with a young family for snorkeling? thanks for the post. I am glad you liked my post 🙂 Thanks ! The choice of snorkeling spot depends on the age of your kids. If te kids are small you would be looking for a beach with shallow water. Elafonisi Beach in West Crete is great for families but can get quite crowdy in the season. If you are not travelling in peak season this beach is a great choice. Let me know how where did you go at the end and how good it was for the kids.